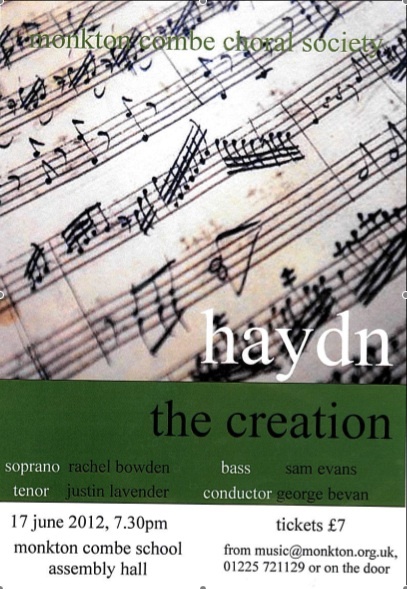 In the beginning, Haydn’s Creation seemed like quite a big undertaking, not least of all because of the size of the orchestra! Since we sang Rutter’s Requiem in March 2010, the choir has grown from about 50 voices to more than 90, which meant that we had some 130 on stage in total for this Sunday’s performance. To say that the choir has risen to the task of performing this masterpiece would be an understatement. Above all I was thrilled with the way in which they communicated. I believe passionately that a choir like this should look like they mean it, as well as sounding good. The Creation is perfect for this, because it’s not that difficult to mean it – it is such an uplifting work to sing, and each successive chorus manages, in my opinion at least, to out do the previous one. The whole work just bubbles over with excitement! My hope is that this choir is beginning to make a name for itself for giving committed performances. My principal objective is that the choir gets to the heart of the music itself; they need to be able to approach a performance with the aim of letting go and enjoying the ride. Some choirs, I fear, can be so intent on ‘getting it right’ that they actually miss the music! So on performance day, I always tell them to forget everything else, and just make sure that they enjoy the ride; and they do! Singing with such a fine orchestra is a rare treat, and whilst most of our orchestra are very used to playing together, it really is extremely special for the choir to be part of such an amazing day of rehearsal followed by the performance. Throw in an all star cast of soloists and the magic is complete. The soprano role in The Creation can be completely captivating in the right hands, and Rachel Bowden was just that, especially with Sam Evans by her side! Look out for Sam at Iford Opera this summer. Tickets are £7, and are available via email music@monkton.org.uk or Monkton’s music department on 01225 721129. Please don’t assume that you will get tickets on the door, we tend to sell out beforehand….! The choir has really enjoyed working on this masterpiece (see my post on Ralph Allwood’s rehearsal earlier this term) and we’re looking forward to the concert, complete with a fine line up of soloists. See you there! 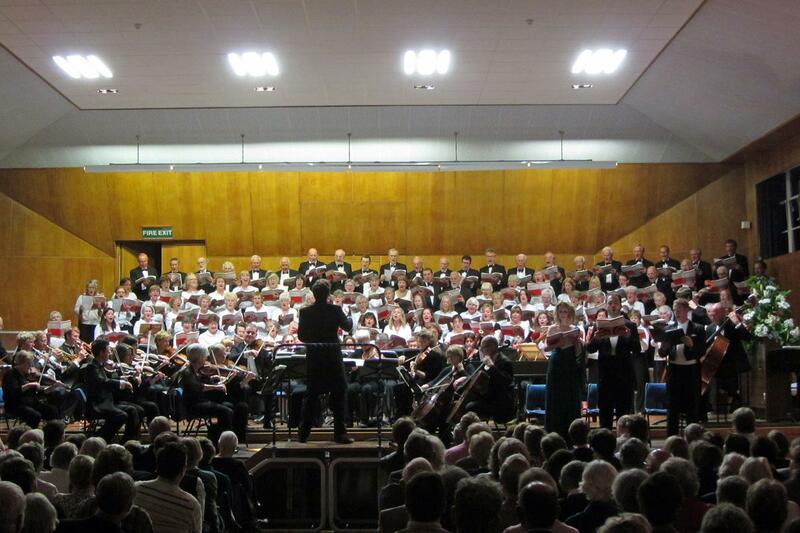 Monkton Combe Choral Society goes lives, just in time!